It’s easy to forget that there are still millions of people in the UK who’ve never been online. 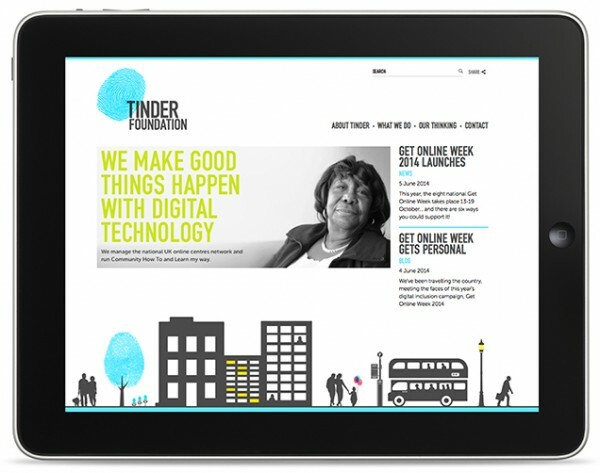 The Tinder Foundation believes that digital technology can transform the lives of individuals and communities for the better, and works to ensure that more people in the UK can access the many benefits of being online. This means supporting people and community organisations to use digital technology more effectively, and helping government and organisations deliver better, more effective services through online channels. To do that, you need to work with all kinds of partners – public, commercial, voluntary and charitable. 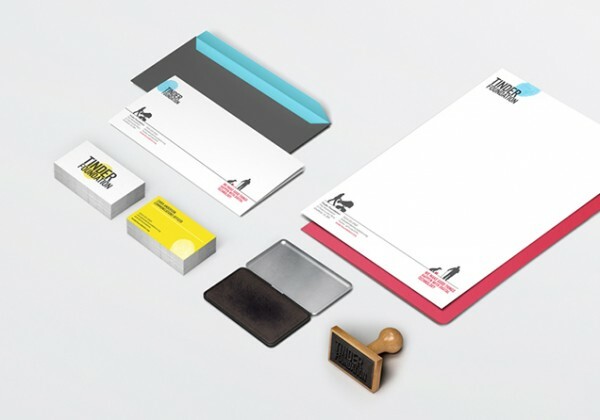 And you need an identity that helps you to be recognised and credible in front of anyone. When the foundation got in touch with us, it had existed for months as a social enterprise, under the name Online Centres Foundation. This reflected a major part of its work, organising the network of UK Online Centres that deliver digital inclusion work in the community. But didn’t speak of its own wider role, or the passion for change at the heart of the organisation. Like many ‘behind the scenes’ organisations, the foundation’s brand itself had not been a priority to this point. With ambitious plans for growth, the foundation needed to assert itself as being more than a provider of Online Centres and build an identity that showed it to be a driving force in the UK’s digital inclusion strategy. 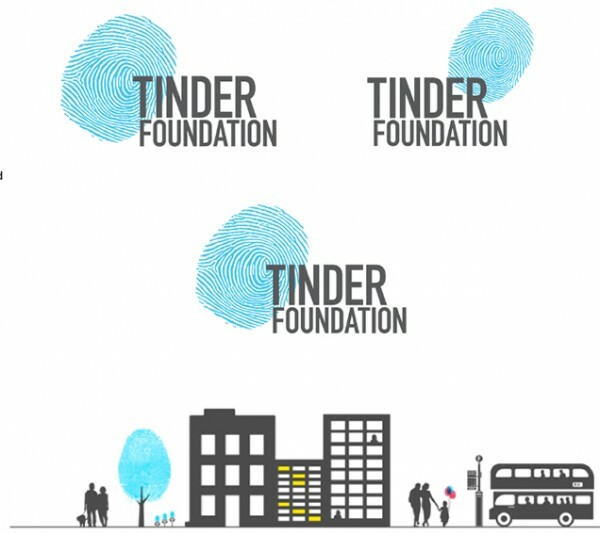 The team there had already come up with a preferred new name – one that moved away from the institutional (Online Centres Foundation) to the more energetic position of being a catalyst (Tinder). This needed to be bought to life with a brand idea that could translate across a visual identity, tone of voice and a brand new website. We spent time in Sheffield with the team, and talked to some of the organisation’s partners in government and commercial telecoms, to understand from their point of view what made the foundation tick and what makes them unique. With a visual brand in place, we began planning the website. 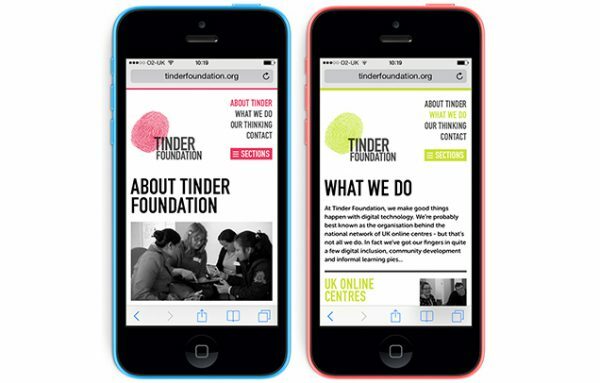 It needed to showcase the wide range of work Tinder’s involved in and work across multiple devices and screen sizes. We dug down to the essential differences between blogs and news items, between case studies and reports, to make sure the formats really supported the content. And we went to a level of detail that ensured the backend of the website would really encourage this content to ‘travel’ – to be highlighted around the site in relevant areas, and to present elegantly on a mobile phone as well as desktop. A clean, natural brand identity for a new ethical cosmetics retailer. One that delivers an important message about the sustainability of the beauty industry.